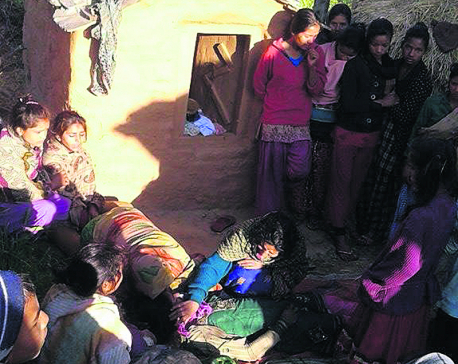 ACHHAM, Jan 9: A twenty-two-year-old girl in Achham was found dead in a Chhaupadi hut as she was forced to spend the night away from home during her period as per the local tradition. The deceased has been identified as Gauri Budha, the wife of Birendra Budha of Turmakhand Rural Municipality-3, Bhairabsthan. Family members informed that they found her dead in the nearby hut on Monday morning. Dambar Bahadur Budha, father-in-law of the deceased informed that the family had to smash the door of the menstrual hut as Gauri didn't wake up till late morning. A day before her death, she was actively involved in the field along with her family members, informed Dambar Bahadur. He added that she was not ill at all. Gauri was studying in grade 11 at Turmakhand-based Kalikeshwori Secondary School. The husband of the deceased is with Nepal Police and is currently in Kathmandu. Family members are waiting for his arrival to perform the final rites. Chhaupadi tradition was banned in the village about two years ago on the initiative of the Department of Women and Children and Save the Children. 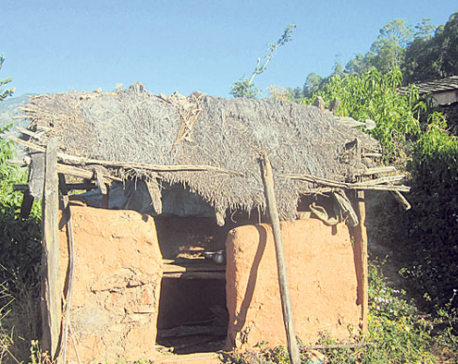 Despite being declared free from menstrual huts, Chhaupadi is still prevalent here. Women are still considered impure and unclean during periods. They still ostracized if they go against this ill practice. Last year, Dambara Upadhyaya of Timalsen village and Roshani Tiruwa of Gajra village had died in menstrual huts. The six-day banishment to sheds during periods has cost lives of many women and girls so far. Though the government has already criminalized Chhaupadi, this ancient practice is still deeply rooted in rural parts of the country. It has been found that a number of women and girls living in sheds during menstruation fall ill or die due cold and snake bites.